Who has not heard about the great adventure story of the Lewis and Clark Expedition? Early from 1804 – 1806, Sacajawea was an integral part of this expedition that led Meriwether Lewis and William Clark on their exploration of the American West looking for a path to the Pacific Ocean. Sacajawea and her husband Toussaint Charbonneau played an important role in the success of this expedition – an expedition that led them right through this part of the country – the great Yellowstone basin. But this post is not about their story. It is the story of the resting place of Sacajawea – a once young Shoshone Indian girl who helped change history forever. A place that can be found just a few miles Southeast from Jackson Hole. Although Sacajawea was reported to have died in 1812 she actually lived to be a very old women as told by Shoshone oral traditions. 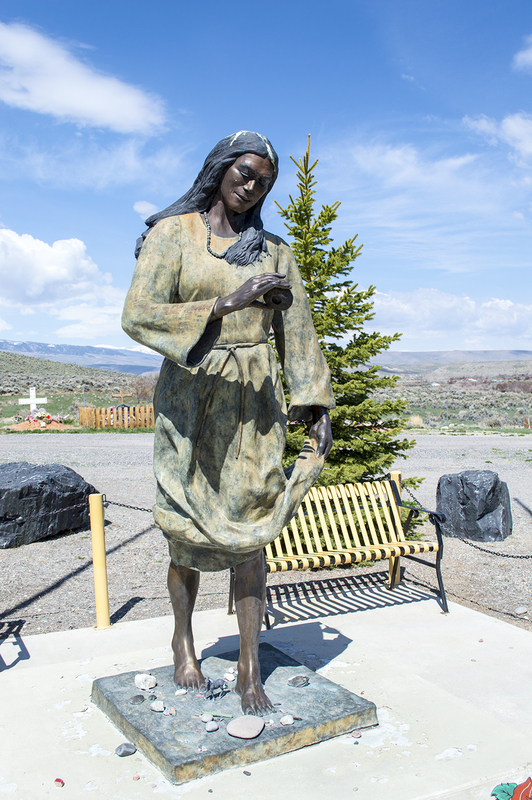 Long after the end of the Lewis and Clark Expedition Sacajawea eventually made her way west back to the Shoshone tribes and lived out her life in the area that is now Fort Washakie, Wyoming. Anyone who has traveled to or from Lander, Wyoming has gone right through Fort Washakie which is one of two main cities on the Wind River Indian Reservation. Fort Washakie was originally a U.S Army fort in what is now the state of Wyoming. The fort was established in 1869 and was originally named Camp Augur after General Christopher C. Augur, commander of the Department of Platte. In 1870 the camp was renamed Camp Brown in honor of Captain Frederick H. Brown who was killed in the Fetterman Massacre in 1866. 81 men under his command were killed by Lakota Sioux, Arapaho and Cheyenne warriors during what was known as Red Cloud’s War on the white man. It was renamed again in 1878 after Chief Washakie of the Shoshone tribe making the fort the only U.S military outpost named after a Native American. The fort remained a military outpost until 1909 when it was decommissioned and turned over to the Shoshone Indian Agency. 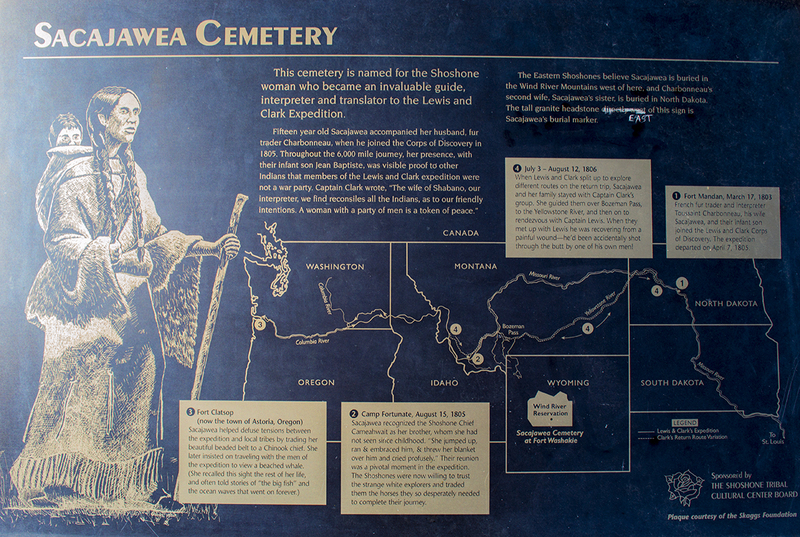 The graves of Chief Washakie and the Lewis and Clark Expedition guide Sacajawea are located on the grounds of the fort. 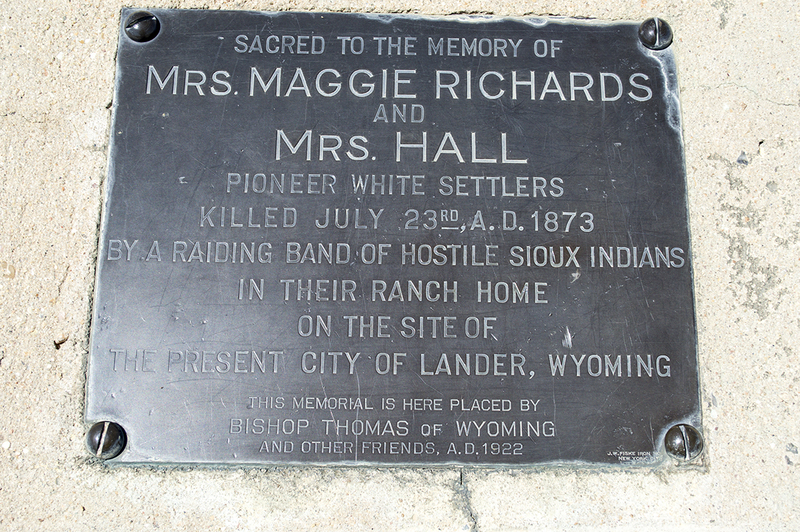 This burial site lies within the present-day Wind River Indian Reservation. Our family has become very familiar with Fort Washakie as we travel through there several times a year to visit our daughter in Boulder Colorado. 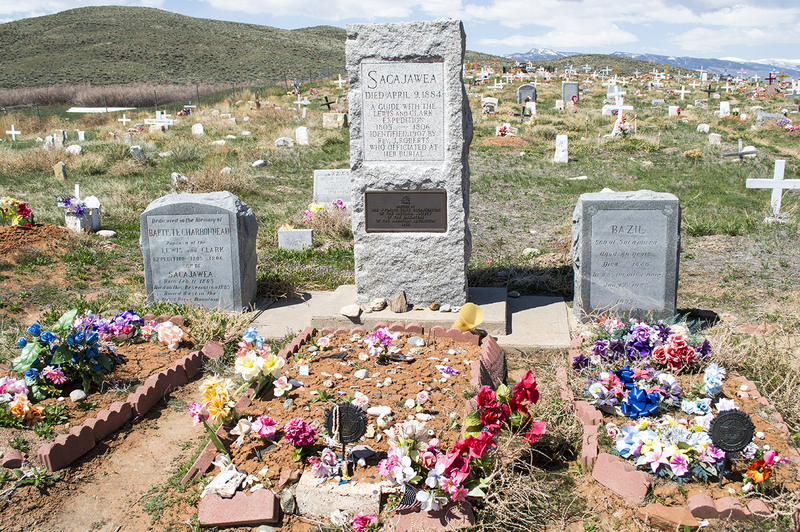 As you pass through the main intersection of Fort Washakie there is a small road sign that says “Sacajawea’s Grave Site”. We had passed this sign many times over many years but had never taken the time to stop and visit this very special place. This last trip it was different – we made the time to visit the resting place of this very important person in American History. Fort Washakie is about a 2 1/2 hour drive from Jackson Hole. A beautiful drive that takes you over Togwotee Pass, through the town of Dubois and across the Wind River Reservation. Just short of Lander Wyoming is Fort Washakie. I need to tell you that please do not expect something on the grandeur of the National Park Monuments we are all used to. Fort Washakie is a humble place that belongs now to the Shoshone and Arapaho tribes. The poverty you will experience on this majestic reservation is shocking and to be truthful something for all to be ashamed about. Peyton, Brock, Brynn and I have visited several Powwows on this reservation and I can truthfully say these were some of the best days we have had in Wyoming. The Shoshone people are very inviting and I suggest that anyone who is in the area think about visiting one of their Powwows if you can. 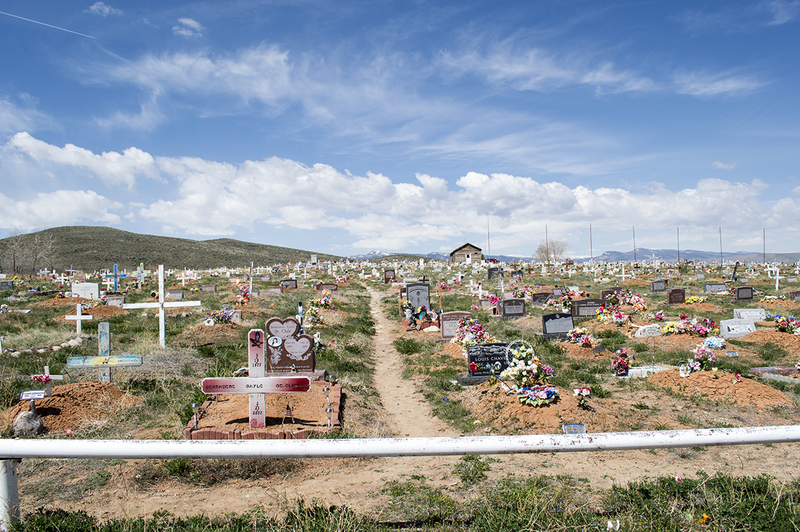 On this day though we stopped and made our way west of the main intersection, past the Powwow Grounds and along the west side of the Wind River (actual river) for several miles until we came to a very small, unassuming sign that simply says “Sacajawea Cemetery”. As you enter this very humble place two things stand out. 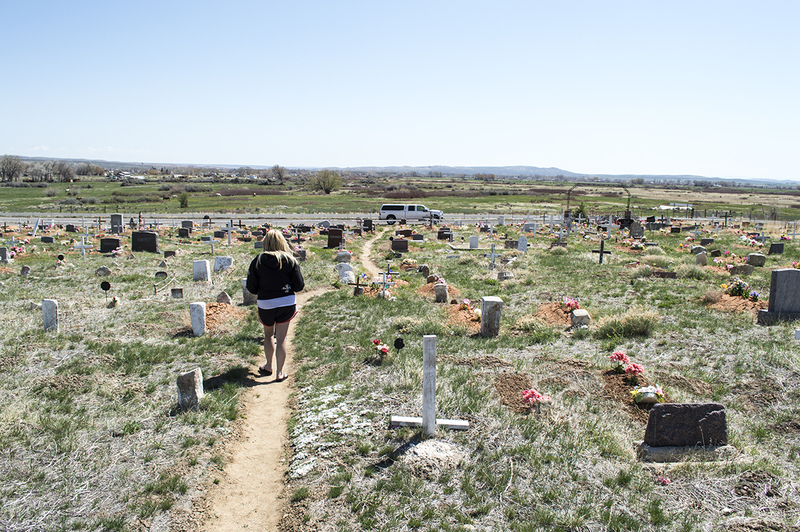 No trees or shrubs landscape this place and the close proximity of each grave. Some graves date back to the mid 1800’s and all the way to the present. I have to tell you that if you are a lover of history you need to visit this place. To stand at the foot of Sacajawea’s gravesite, her son Jean-Baptiste Charbonneau and her sisters son Bazil is quite an experience. This place, this humble grave site, this troubled reservation of the Shoshone people gives one a reason to pause and think… think about those who help lay the path before us, a path that had led to this day that my family stood at the foot of what was once a young Shoshone Indian woman who made an everlasting contribution to our American History.